One of the major and most trusted names among industrial vacuum cleaner suppliers in Dubai and UAE, Cleantech Gulf offers a broad range of industrial-grade wet and dry vacuum cleaners for a virtually effortless and quick clean-up of the most impossible spills, dirt, and mess. Wet-dry vacuum cleaners accomplish more than average vacuums, as they are equipped with a powerful suction that works in both wet and dry environments. The powerful suction can even pick up nails, screws, and other heavy metals that would otherwise destroy the inside of your average home unit, making these industrial vacuum cleaners able to siphon off a layer of dirt or a basin of water. As the choice provider among many industrial grade vacuum suppliers in Dubai and the UAE, Cleantech offers industrial vacuums that are outfitted with an extensive range of tools and attachments to get into every nook and cranny. Built to last, our vacuums can deliver trouble-free and reliable service for years. Our most popular models have a 10-gallon capacity, making them just as versatile with the big spills as the little ones, leaving behind a spotless surface. Though offering above average capabilities and features, our industrial wet-dry vacuums are available at the most competitive market prices, making them a valuable investment, especially in the long run. 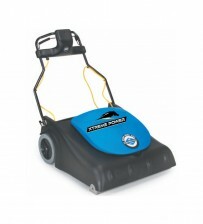 With superior durability and performance, our line of industrial vacuums offers real value for money. We only source and supply cleaning equipment and machinery from the most trusted and renowned international brands to ensure we provide a full spectrum of world-class quality products, and the most competitive price tags. If you are interested in a unit’s price, or if you want to know its full functions, please feel free to get in touch with us. You may also request a free demo through our website.